Connor McDavid knows better than to risk making end-of-season NHL award projections. Through no fault of his own, the Edmonton Oilers captain was not included among last year’s three MVP candidates, causing a stir back home. So McDavid understandably deferred when recently asked to list his Hart Trophy front-runners this year. 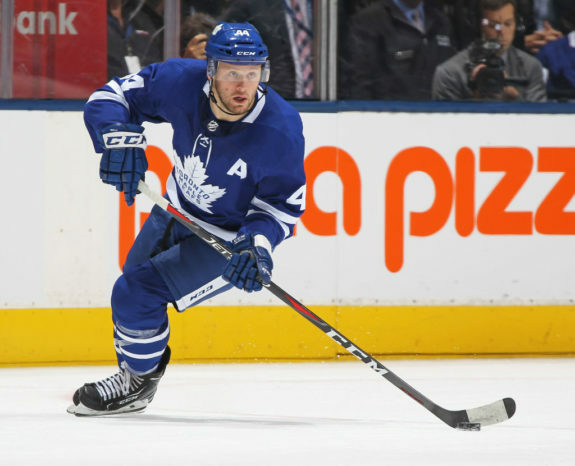 McDavid, who won the Hart in 2017 after leading the Oilers to their first playoff berth in 11 years, isn’t likely to be included among this year’s finalists even though he entered the final week of the season second in the league with 115 points. 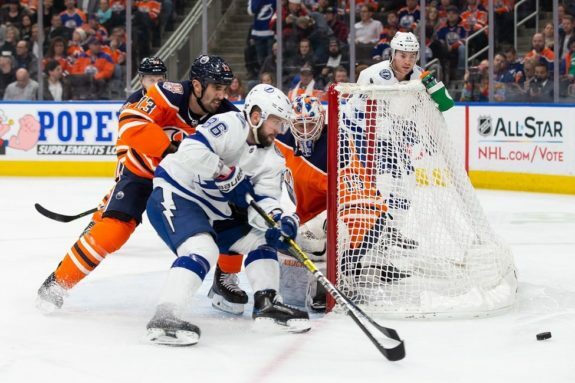 Trouble is, the Oilers have already been eliminated from playoff contention, and McDavid and everyone else are being overshadowed by the numbers Nikita Kucherov is putting up with the President’s Trophy-clinching Tampa Bay Lightning. With 125 points through 79 games, Kucherov has already matched Joe Thornton’s league-leading total in 2005-06. The highest total after that is Jaromir Jagr’s 127 points in 1998-99, and the last player to top 130 points was Mario Lemieux, who had 161 in 1995-96. 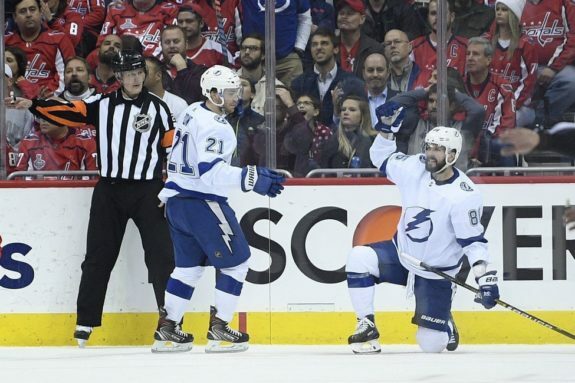 Kucherov is tied for the Lightning lead with seven game-winning goals and part of a team that became only the NHL’s third to win 60 or more games. 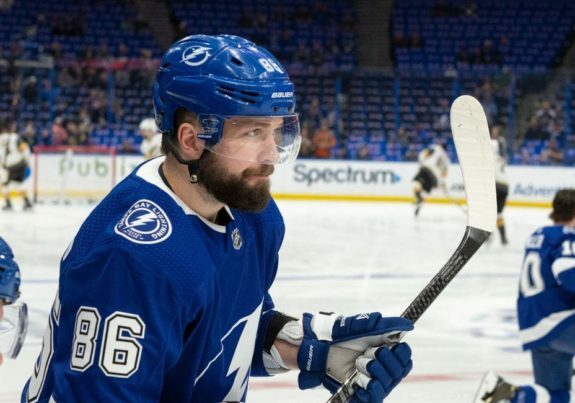 Kucherov has also led the points race since Dec. 28, and gone no more than two games without registering a point this season. That’s not to say there aren’t others worthy of mention. Calgary’s Johnny Gaudreau, with a career-best 97 points already, has played a key role in helping the Flames clinch their first division title in 13 years. Though Sidney Crosby’s production has tailed off with just two assists in Pittsburgh’s past eight games, the Penguins could have been in jeopardy of missing the playoffs for the first time since 2006 if not for their captain’s team-leading 94 points. Chicago’s Patrick Kane, who enjoyed a 20-game point streak, would deserve consideration if not for the Blackhawks sitting last in the Central Division. “You’d have to be statistically such an aberration, such a unicorn, that voters would have no choice but to say, ‘OK, that’s the guy,'” Burke said. In the conversation: Crosby, Gaudreau, Kucherov and Brad Marchand (Boston). In the conversation: Brent Burns (San Jose), John Carlson (Washington), Mark Giordano (Calgary), Victor Hedman (Tampa Bay). 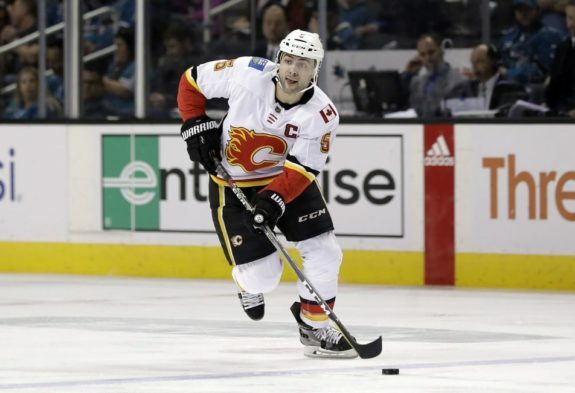 Comment: A career-best season for a captain on the Pacific Division’s top team. In the conversation: Ben Bishop (Dallas), Darcy Kuemper (Arizona), Carey Price (Montreal) Pekka Rinne (Nashville) and Andrei Vasilevskiy (Tampa Bay). Comment: Tightest race to call and could include Islanders’ tandem of Robin Lehner and Thomas Greiss, though each eliminate each other by splitting starts. In the conversation: Aleksander Barkov (Florida), Patrice Bergeron (Boston), Sean Couturier (Philadelphia), Mark Stone (Vegas), Ryan O’Reilly (St. Louis). 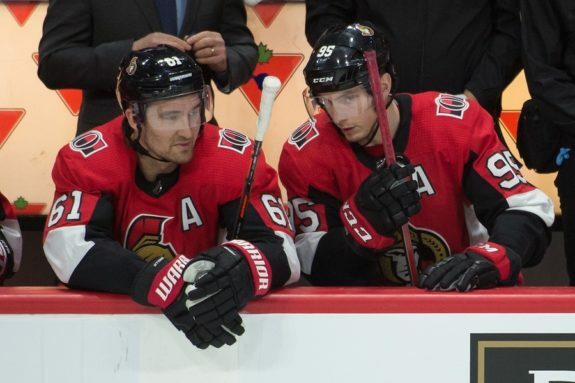 Comment: Before being traded to Vegas, Stone had an exceptional plus-13 rating on a Senators team that has currently allowed an NHL-worst 285 goals. In the conversation: Rasmus Dahlin (Buffalo), Andreas Johnsson (Toronto), Elias Pettersson (Vancouver) and Brady Tkachuk (Ottawa). Comment: Pettersson leads rookie forwards in averaging 18:20 of ice time per game. In the conversation: Craig Berube (St. Louis), Jon Cooper (Tampa Bay), Bill Peters (Calgary), Barry Trotz (Islanders). 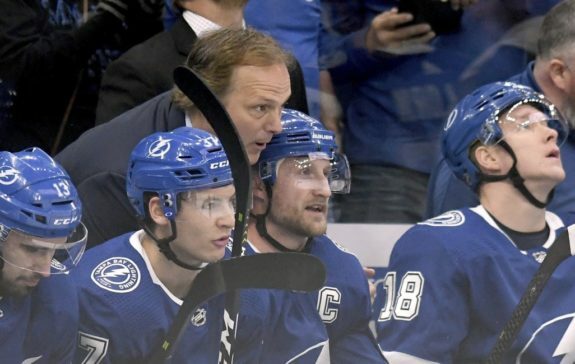 Comment: Though Berube and Trotz deserve consideration, it is difficult to overlook the job Cooper’s done with a 60-win team. Blue Jackets John Tortorella wasn’t initially in the mood to divulge what was discussed during a team meeting after a 4-1 loss at Edmonton on March 21 that extended Columbus’ skid to 0-2-1. 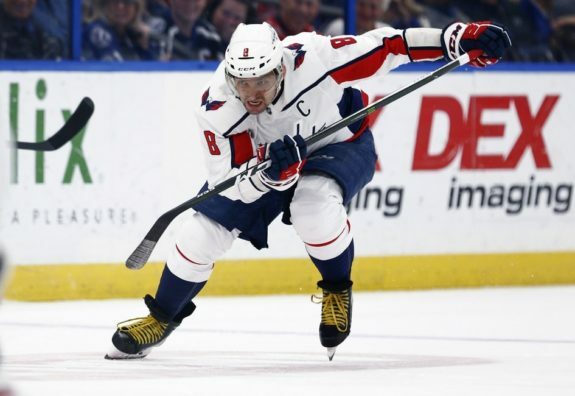 Goals: Alex Ovechkin (Washington), 51; Power-play goals: Brayden Point (Tampa Bay), 20; Goals by defenceman: Morgan Rielly (Toronto), 20; Shutouts: Sergei Bobrovsky (Columbus), 9. 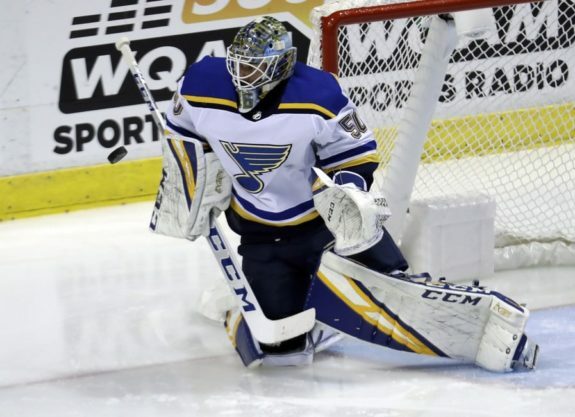 Goals-against average: Jordan Binnington (St. Louis), 1.85; Save percentage: Ben Bishop (Dallas), .933. 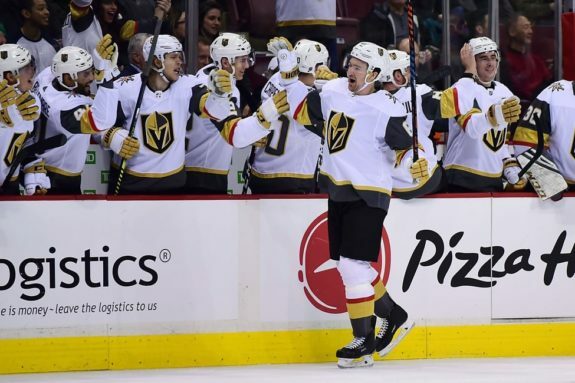 The Central Division title and the Western Conference’s final playoff berth could be on the line in one of the final games on the regular-season schedule Saturday when Winnipeg travels to face Arizona.